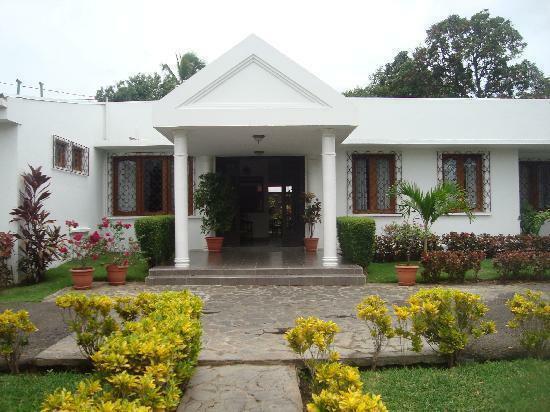 ﻿ Best Price on Hotel Casa del Sol in Managua + Reviews! Hotel Casa del Sol is situated an 8-minute drive from Managua’s financial district, and offers an outdoor pool, gardens and free secure parking. Each air-conditioned room features free Wi-Fi. Rooms at the Casa del Sol are decorated with soothing natural tones and offer views of the gardens. Each room has cable TV, a minibar, a safe and a private bathroom. Hotel Casa del Sol has a lobby bar and an à la carte restaurant. You can also find Nicaraguan and international restaurants in the commercial district of Managua, just a 5-minute drive away. The hotel is situated next to the Panamerican Highway, 6 km from the historic city centre and Lake Managua. Managua International Airport is around a 20-minute drive away, and airport transfers can be arranged on request.